A man has been arrested after a car allegedly rammed two police vehicles during a high-speed chase in Melbourne’s north west. Police attempted to pull the car over in Kealba after responding to reports of a kidnapping last night. 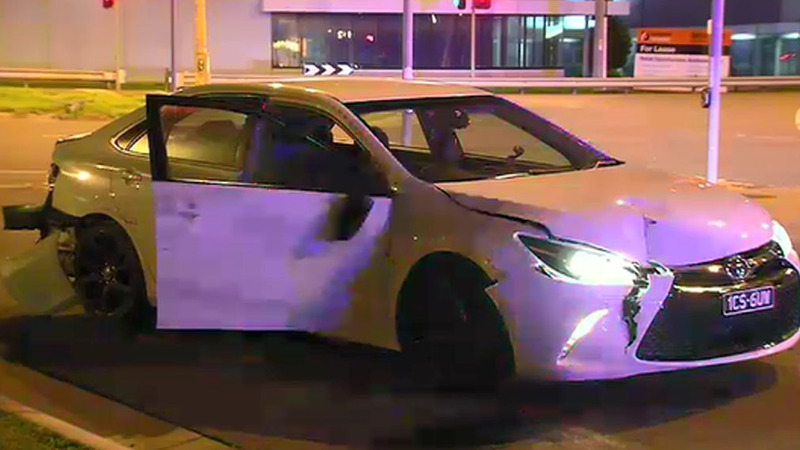 A spokeswoman for Victoria Police said the car “sped off” before allegedly ramming two police cars in Tullamarine. No officers were injured. A man has been arrested after two police cars were allegedly rammed. After leading police on a high-speed chase to Ravenhall, the car was stopped about 2.30am. Police allege the driver fled on foot before he was arrested. Police are investigating if the 21-year-old woman was kidnapped. “The exact circumstances of the incident are still being determined. Both parties are known to each other,” a Victoria Police spokeswoman told 9NEWS.